Crown Paints’ Specification Services team is working in partnership with CBRE to deliver colour matching and technical specifications to Wembley Stadium. 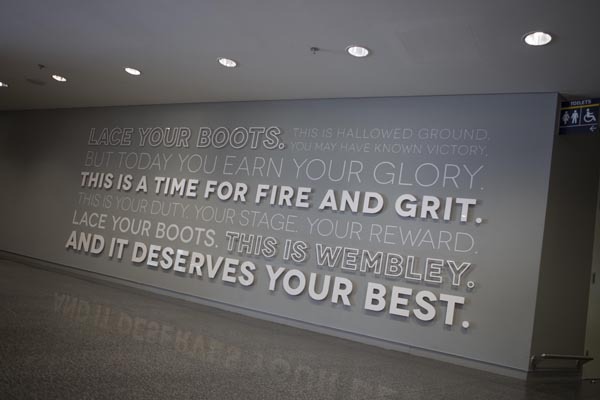 The CBRE maintenance department who looks after the stadium has specified a variety of products from the Crown Paints range in a palette of 12 core colours, carefully matched with Wembley’s branding requirements. 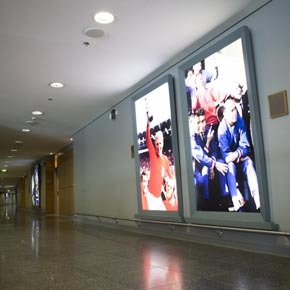 Selected products included the Crown Trade Acrylic Eggshell and Scrubbable Matt formulation, in addition to Clean Extreme Scrubbable Matt and the flame-retardant Crown Trade Timonox, all used across vast areas of the iconic stadium. Crown Trade Timonox was applied to the most high-traffic places, such as hospitality areas and communal spaces, to enhance on-site safety, whilst Crown Trade Clean Extreme was used for the corridor areas and in the 161 hospitality boxes. Clean Extreme provides a wipeable and scrubbable finish that enables marks and stains to be easily removed. In addition, all of the specified products are non-oil based to reduce odours for the benefit of visitors and those who work at the venue.